Hi and thanks for visiting! I’m John, 39 (1977 model) from East London / Essex, UK. My Locator is: JOØ1CM. WAB: TQ58. I have been interested and fascinated by both radio and electronics from a very young age, which makes this a perfect hobby for me! I have been licensed since January 2007. I work as an RF Engineer at Broadcast RF, testing and building RF systems, mainly RF cameras and links for television outside broadcasts. 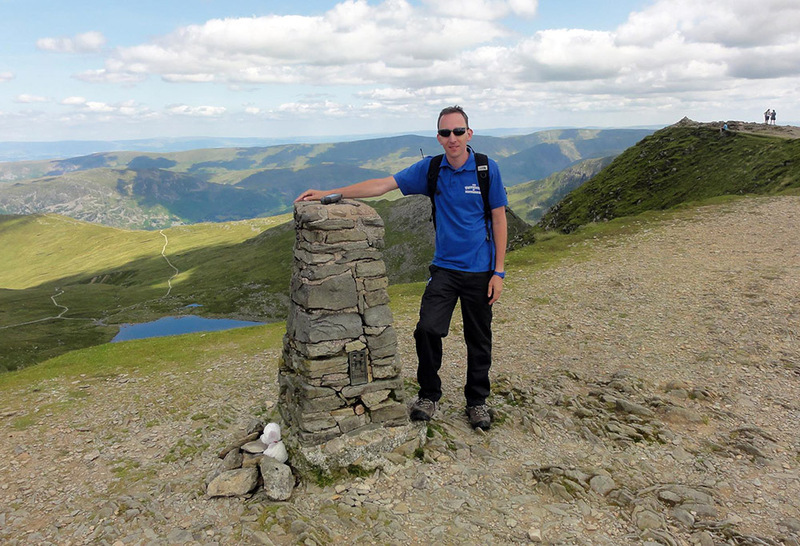 John, M0UKD on the SOTA summit of Helvellyn in the lake district. I use an Icom IC-7600 from home on HF. Antennas are a Diamond X-50N mounted about 11 metres above ground for VHF/UHF, and a 20m long doublet fed with 300Ω feeder for HF. I also operate QRP/QRO portable with an Icom IC-7100 or Icom ID-51E (50th Anniversary Edition). I have been known to activate the odd SOTA summit! I can be found on data modes aswell as voice modes. RTTY, PSK31, Hellschrieber, JT65, WSPR etc. I enjoy building homebrew equipment and generally playing with electronic circuits. I hope you find my pages interesting. Thanks for visiting! John. I passed my Foundation exam and got the callsign M3UKD on 4th Jan 2007. After operating as a Foundation Licencee for six months, I then took the Intermediate exam and passed in June 2007, and got the call 2EØUKD. I then took the advanced exam on 10th December 2007, and got the results on the 21st. Fortunately, I passed, and got the callsign MØUKD on 21st December 2007.